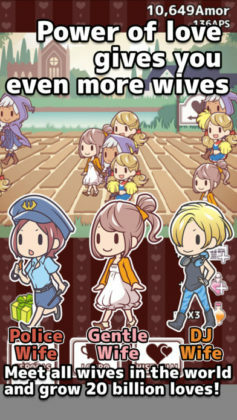 With the exact same core gameplay system, only tweaked slightly to work better with wives instead of husbands, 20 Billion Wives is another endless clicker game you won’t want to play for longer than 15 minutes. 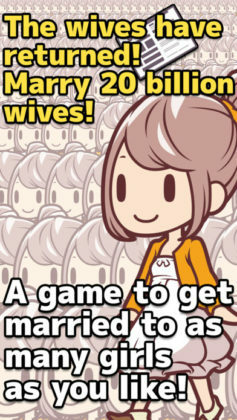 Seriously, after 15 minutes of gaming, you’ll be married to over 10,000,000 people! 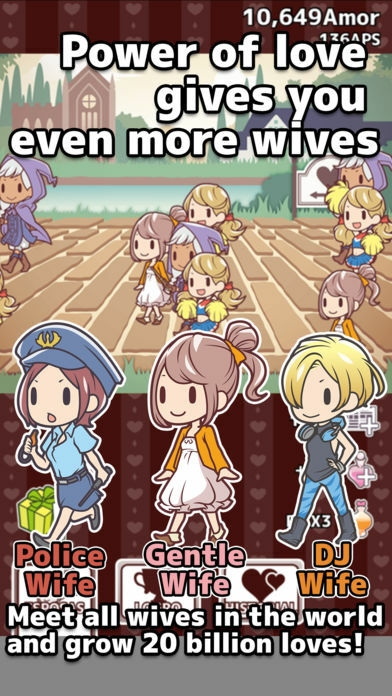 Once again, if you’ve ever wondered what it’s like to marry 20 Billion Wives, or simply have nothing to do for the next 10- 15 minutes, this is the game for you. 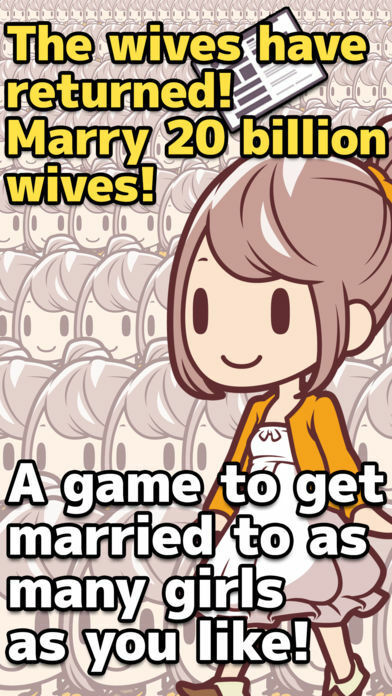 Otherwise, you could always marry 10 Billion Husbands?